Note: As the midterm elections loom in the near future, activist/feminist/singer/author Ani DiFranco is actively rounding up the troops to take action. 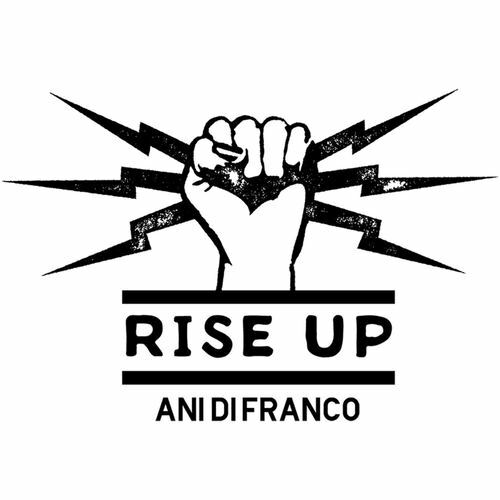 DiFranco continues to urge those around her to “Rise Up” and get active in regards to voting. This effort is the third annual Babefest, a festival of music, community and activism taking place September 21 at Warsaw in Brooklyn, NY. In addition to musical and spoken word performances from DiFranco, Babefest will feature the Resistance Revival Chorus, Torres, and Amy Leon. "EMILY's List is thrilled to be partnering with Babefest," said Lucinda Guinn, vice president of campaigns at EMILY's List. "This election cycle, we have trained more than 4,000 women, in-person and online, preparing them to run or help other women run for office. Working with these phenomenal artists featured at Babefest helps to spread our mission while bringing attention to the need of more women being represented at every level of government." “Right now, on the horizon, there is a true sea change brewing. A multicolored wave of people, all over the country, are stepping up and running for office at every level of government. Women, especially, are running in unprecedented numbers. In other words, the hard part is taken care of. All we have to do now is vote.” - Ani DiFranco Babefest is promoted by Mercury East and The Fource in association with The Hum.